How do I import the psspy module in a Python script? It looks like Python isn't able to find your psspy.py module. PSSE itself requires that you add to the PATH environment variable so it can find it's own files. We do that by adding to os.environ['PATH'] with a ';' semi-colon separator. Make sure you always write that second block of code before you import psspy. Now that you have added the correct directories to your path, you can import psspy from within your Python script like a pro. Thanks for the code. That fixed my problem. The method proposed by JervisW requires a chuck of code to be pasted at the top of every script. This would also be a small inconvenience when we begin moving to PSSE33 and in the unlikely chance that someone had PSSE installed in a different path. If python can't find the module you'll get a traceback. In my opinion, modifying the system PATH within python just feels wrong. I would prefer to add the PSSEBIN to you path manually. TODO: This method only seems to work if you invoke python for interactively. To actually work whit will have to be modified. PSSE docs seems to imply that adding PSSBIN to the system PATH is a good idea anyways. Honestly, most users don't know what an environment variable is, so there's probably no harm in modifying it on the fly. Using the installed package mindset we can put the code in an init.py file in our own directory in site-packages. You should be able to identify the location of PSSBIN reliably through an environment variable or a windows registry entry. 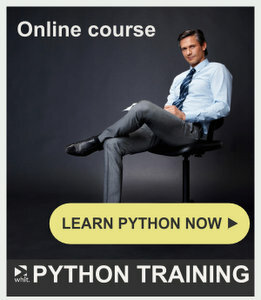 This would make the psse-python integration work anywhere. However, I can't find anything useful in the environment or registry. Maybe it's buried somewhere under Documents and Settings. echo Your PATH is now set to run PSS®E-32 programs! Before any PSSE scripts are run, users have to open the special PSSE-32 command prompt. I think most of the users already do this, so it may dovetail into existing habits. Good idea chip. The only thing I'd add is that the operating system PATH variable needs to have the path to PSSBIN added. The PSSE program itself relies on finding PSSBIN. Is there a way to put additional code into the .pth file? Chip, really impressed with this further developed idea. I think you are really hitting on a sticking point that many people have had, but it has not really been addressed adequately so far. How about you and I set up your idea psse-python-integration package? @JervisW Absolutely. I'd like get something setup that makes our environment sane. I still haven't figured out what that is yet, but this is going to be a growing problem for us. We also have the Python25 vs Python26 magic number bit to sort out. @chip This 'sane' setup does fit with the natural PSSE workflow that I've seen. Does PTI provides a similar batch file as part of their Python PSSE environment manager? Would you be happy to host this batch file as a gist or a project on github? @chip github hosts public projects like this free of charge, and a large part of the Python community regularly use it. We could link to it from here as the canonical way for people to set their environment. PSSE_LOCATION = r"C:\Program Files (x86)\PTI\PSSEXplore34\PSSBIN"
I find both rather confusing and offering little in the way of help with their error messages. Am I missing a DLL file or more, or is psspy just no longer provided with PSSEXplore? I ran into the same trouble too. Have you solved this problem and could you share the solution? Thank you a lot! If you use v.34, check the post "psspy module not found in PSS/E 34"
Question was relating to running PSSE v 30 with Python 2.3. Importing psspy caused a missing dll error. What happens if you run this file from inside PSSE? No, there is not that file in PSSBIN paste. I have the student version of PSS/E 32 wich has the psspy.pyc. I tried to copy that file to the PSSBIN of PSSE 30 but the same error occurs. If I run the file from inside PSSE 30 it works properly with no error. Message: "ImportError: No module named redirect"